Macmillan, a cancer charity, seeks to undertake research with impact, keen to invest ‘in research that will deliver long term benefits for people living with cancer’. As someone who has found herself in ‘the cancer world’, and as a digital researcher, I was not surprised to find how helpful Facebook groups (along with other social media, and the occasional foray into an official forum) were in helping source information, especially when appointments with the medical teams are fairly ‘swift’ (although if you have a list of questions they’ll answer them!). From a fairly early point, I started wondering if there was a research question in this, that would help health care professionals understand what information is occurring in those spaces, how these are managed, and how this impacts on the decision making process of patients (and their friends/family). How to most effectively get information about their diagnosis and prognosis to people living with cancer to enable them to make the right decisions about their life, treatment and care: with sub-clause The role and impact of peer to peer information provision (eg through online forums, social media, face to face) for people living with cancer, and the implications for healthcare professionals. This was a little earlier than I might have planned to go for funding, and I spent quite a chunk of sick-leave sketching out ideas. Once back in work (Manchester Metropolitan University), there was support from other academics, and the research team, and we put together the short ‘expression of interest bid’, submitting it just after I’d been to see ‘A Space for Sharing‘. Today, we found out that we are one of only 12% of projects being taken through to the second stage, so I/we have til September to put together the full bid. Lots of learning for me, but I think a lot of support from work to help progress this – we’ll find out if the final bid is successful in February, with a view to having a research assistant in place by summer 2019. Social media is now a part of everyday life (Lewis, 2018b), with 77% of UK internet users having at least one account, and 91% of those having a Facebook account (Ofcom, 2018). Social media spaces provide a sense of community for individuals in user-constructed networks (Pittman, 2016). Facebook provides both personal space for individuals to connect with their own friends and families, and public-private spaces that allow individuals to network with strangers with shared interests (GlobalWebIndex, 2017). One shared interest group is ‘the coolest club you never want to be part of’: cancer (BBC, 2018), which Lewis became part of in 2017. 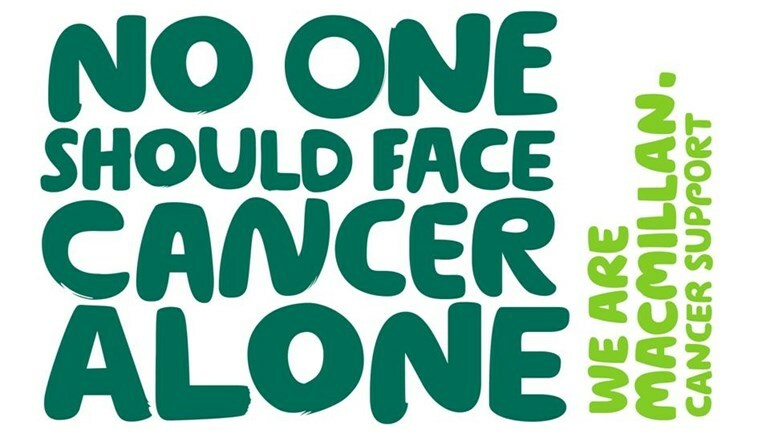 There are an estimated 2.5 million people living with cancer in the UK (Macmillan, 2017c), and with more living longer (Cancer Research UK, 2015, Macmillan, 2017b), and feeling lonely (Macmillan, 2015), people are looking for support/information online, including through peer-to-peer social network spaces (Bath, 2017, Baucom, 2017, James, 2014, Pietrangelo, 2017). Lewis (2018a) with 17 years of experience researching the digital environment is a very active member of cancer spaces online. Cancer communities on social media ‘have a lot of information to share with each other’ (Veinot, 2010). With the internet seen as a ‘dangerous place’ by the media (Lewis, 2014a), full of ‘misinformation’ (Macmillan, 2017a), there is a growing drive/need to research the intersection between social media and cancer. Social media is at its heart about relationships and communication (Lewis, 2014b). Campaigns such as #ThisGirlCan have demonstrated that listening to a target community, understanding fears/needs, enables effective communication and informs policy and practice decisions (Kemp, 2016). The activities occurring in social media spaces, both the therapeutic impact gained through the sharing of knowledge and information, and its impact on clinical practice, needs to be understood. To understand how people affected by cancer use social media as peer-to-peer networks and communities of practice (Lewis, 2013). Positive and negative aspects, digital literacy, visual culture, and whether people with different forms/stages of cancer use spaces differently will be key. To understand how social media spaces are managed, such as through their structure, and the use of administrators for Facebook groups. This will impact questions of authority and trust online. To understand how the use of social media by people affected by cancer affects their feeling of wellbeing, and impacts on how they participate in clinical decision-making. To understand how health care professionals (HCP) feel about the use of social media and digital information by their patients with cancer, and how or if they transmit their feelings to their patients. To understand how social media works with other forms of information given to patients, including by HCP, cancer charities, and other forms of media. To understand how loved ones use social media with patients, and how this impacts information flow. The bid then continues to give the methodology of the project (qualitative interviews, larger survey to cross-check, and focus groups to test the recommendations provided). It’s not possible to undertake participant observation within groups, and there’s also a lot of sensitivity re even asking in groups, so there’s a lot of thought has gone into this. Collecting participants is likely to be through The Christie, one of the project partners; other project partners are De Montfort University, and University of Winchester. The second page of the form focused on the anticipated impact of the project. JISC, 2017, ‘The Co-Design Playbook: Strategies for collaborative innovation’. There is an extensive further reference list behind this project.